Going back 10 years, leads were a considerably different game. You obtained leads for people that might be interested in your product or service and followed them up. Usually, your prospects knew relatively little about your products and relied on you to provide them the information. Similarly, they also relied on your competitors. This pattern stretched back over hundreds, even thousands of years. 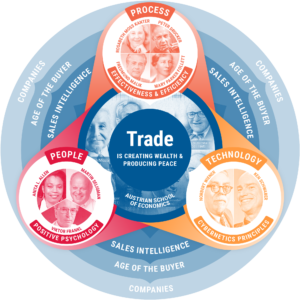 Salespeople went out, found buyers, approached them and sold their wares. This is even how Marco Polo operated in ancient times. But today it has radically changed, due to the proliferation of the Internet. Because information on your product or service is now so freely available—along with that of your competitors—it is very easy for potential buyers to compare products. 60 to 70 percent of the decision making in B2B sales is made before the decision maker approaches the supplier. This has a profound impact on the lead machine. This doesn’t mean that all of the old ways for obtaining leads and selling are obsolete—many certainly still work. They just need to be adjusted to take the new buyer role into account. In Inbound Marketing, the prospects are qualifying you first, instead of the other way around. This radical change has given life to marketing automation companies such as HubSpot and Marketo—and has helped create an entirely new industry: Inbound marketing. Along with Inbound marketing came a whole new universe, that of social media. In Inbound Marketing, the prospects are qualifying you first, instead of the other way around. When we talk about a lead machine, we have to take into account that lead generation is very different for everyone. Taking an example that is radically different from my own industry, I have a favorite restaurant in Venice, California called Gjelina. While it is not expensive, it is extremely cool and is always booked. I once spoke with the manager there, and he told me that the restaurant has never engaged in marketing. Unlike many of the rest of us, they have no need for leads whatsoever. So needless to say, the lead machine can be quite different for everyone. Since my company is in the SaaS business, as are many of our prospects and clients, we’ll stick to SaaS and how a successful lead machine operates in that industry. In SaaS, the website is central to everything. Much like the sun is central to the solar system, everything (like the solar system’s planets) revolves around that website and feeds into it. 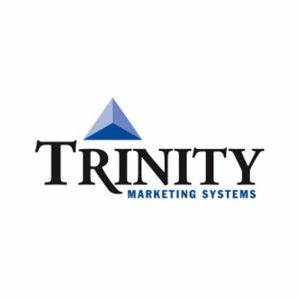 All of the “orbiting” elements, such as Google AdWords, banner ads, articles, blogs, press releases, product reviews, white papers, and many more, feed leads back to the web site. All of these elements must convince seekers of your type of solution that yours is at least one they should check out. Systems of these orbiting satellites can become quite complex. For example, if you click “share” on a press release, you’ll usually be presented with over 100 social media channels. That’s like a whole separate planetary system within the others, still subordinate to, and feeding leads to, the sun (web site). What is the main element required to build up all of these orbiting satellites? That would be content. And today the content industry is booming. Taking care of all of these inbound channels, providing them content and making sure they are current and performing, is considerable work, and is never-ending. In Inbound marketing, qualifying leads is a healthy part of the job. As we covered earlier, your prospects are qualifying you before they show up at your virtual door. At the same time, though, you must qualify them to ensure that they are a proper custom fit for your company. You have to do this with every lead that comes in. This is considerably different that outbound lead generation. With outbound, you have a great deal more control over who you are targeting. With inbound, you have no chance to exactly target the people you are looking for, and as prospects come to you, you are qualifying them. It was Scottish economist Adam Smith that, all the way back in 1776, observed that division of labor would increase productivity. This observation still holds true today, as we see that it takes completely different people with different skillsets to perform inbound and outbound lead generation. And just generally within sales, we can see how true this is: There are field sales, inside sales, enterprise sales, SDRs, and many more—and the people in each of these positions are quite different and have different skillsets. The CRM solution you choose must be more than adequate to the job of lead management. Leads must rapidly be entered into CRM. 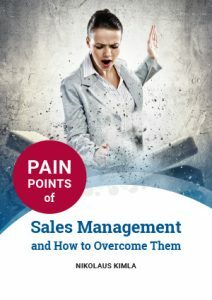 Once they have, qualifying must happen as quickly as possible, and the lead must then be moved into the next pipeline stage or sent back to Marketing. 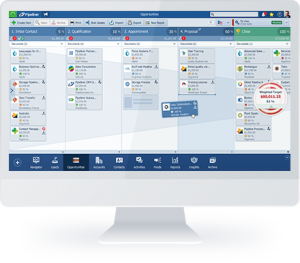 Pipeliner CRM makes management of leads—as well as the management of opportunities that leads turn into—totally and visually easy and flexible. The CRM solution you choose must be more than adequate to the job of lead management. So why is a lead machine so important? I strongly believe if you have a predictable lead generation machine, and enough leads, you can practically screw up everything else, and you will still do well. You will never run out of business. If you want to triple sales, the most important part is a strong lead machine. Taking another analogy, you can have the best-built rocket in the world. But without the right rocket fuel, it will never leave the ground, let alone connect with a space station. Just look at your sales force as the rocket; you can have the best sales team in the world. Leads are their rocket fuel, and without them, they will get nowhere. So make sure you’ve got your lead machine in working order. Because unlike other factors—yes, folks, this is rocket science! Pipeliner CRM makes lead management a total snap. 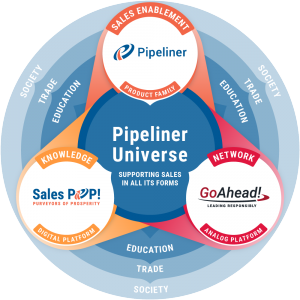 Pipeliner CRM – Enabling Sales Teams, Minimizing Risk! We are a sales enablement tool. We focus on pipeline management, sales process & analytics. This will be the easiest, most productive & least onerous trial you have ever taken. Experience Pipeliner CRM!